Why have we forgotten the following Vedic Prayers for social welfare? Socila welfare is our joint divine responsibilty. 2. God being supreme Guru “O Supreme Spirit Mahadeva: Teach us to heal the disease of the soul i.e. ignorance being the darkest night. 4. May we listen with ears what is good and noble and speak whatever is good, and see with eyes good. Mahatma Gandhi's three monkeys are based on this Vedic prayer. 6. O Manyu deva: give me Wrath so that I do not not become insenstive to social, moral and physical evils. May we obtain true knowledge of Rta from Varun and Mitra two forces of NATURE WHO ARE UPHOLDERS OF Rta. 11. The scientific belief in One ineffable, formless and nameless God who has been given some name by learned persons, help in creating peace every where- peace in the sky, peace in the atmosphere, peace on the earth, peace in plants, animals, human beings and water (Yajur Veda 36-17). Let the peace itself be peaceful. This is the most famous peace prayer to God as Shanti Path in the Vedas. 12. PRAYERS- There is an other hymn in Atharva Veda that we are all co-workers for prosperity and make riches flow amongst the people on the path of Dharma and Rta (A.V 1-15-2, 4). 13. There is also a common prayer in Rig-Veda for the welfare of all human beings. We should create concord amongst the human beings, love each other as the cow loves the calf born to her, we all speak gently and in a friendly manner, let our water store be common and common also our share of food. Morning and evening let there be loving heart in all of us (R.V 10-191-2 to 4), (A.V 3-30-1 to 7). Yajur Veda 36-18 has a prayer to God, "Let all beings look on me with friendly eyes. May I look on all beings with friendly eyes- may we look each other with friendly eyes". Thus a large number of hymns refer to "We feeling" without specifically mentioning the word Society. There is also a common prayer in Rig-Veda for the welfare of all human beings. We should create concord amongst the human beings, love each other as the cow loves the calf born to her, we all speak gently and in a friendly manner, let our water store be common and common also our share of food. Morning and evening let there be loving heart in all of us (R.V 10-191-2 to 4), (A.V 3-30-1 to 7). 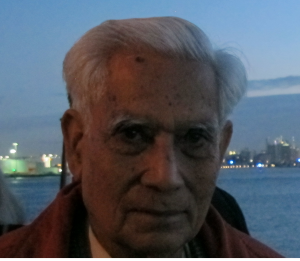 For many other Vedic Prayers kindly peruse Glimpses of Vedic Metaphysics for on line reading/taking print at no cost on Website http://www.sabhlokcity.com/metaphysics. Also book is accessible through Google.com, Yahoo.com, Lulu.com. Value of prayer is now accepted bymost thinking people. The more intense the prayer the more effective it is. Itha salso ben established that common prayer has much more power. From this it is clear that if we develop a comonprayer usefull in present times ands ensure that it is used by maximum empowered poeople the effect will be very high. e could see the r4esults in good time. Te actrionplan should be- develop a prayer. Tis has tomnbre done by really enlightened person. TRanslate this in all languages as required. SEt a time when this prayer is to be used. Form prayer groups with some leader who may be having maximum understanding of the objectives. Have a process of monitoring so thatpersons do not stray from the path. A really learned person should take charge of the scheme.